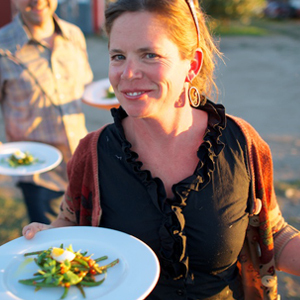 Spend an evening on the farm with our spectacular Farm-to-Fork Supper Club series! These dinners are otherworldly and will transport you to another time and place where fresh food cooked with amazing brilliance is presented to the table in a picturesque farm setting. These dinners are life changing and you will find no other experience like them in Boise. Our Farm has now moved out to the amazing Sunny Slope area. We will be coordinating a bus from Boise. Our address is 20021 Hoskins Road, Caldwell Idaho 83607. Come join us at Vine and Branch for an Amazing five course meal in our true Farm to Fork Style. The shortest day of the year will be marked with the best dinner of the year. Bring some friends and celebrate a relaxing dinner with us. The meal will feature all local food and we will be pairing the dinner with some of our favorite wines from the Sunny Slope Wine Region. This is just a few days before the holiday and it is perfect way to kick off the week or show the foody in your life how much you love to eat with them. 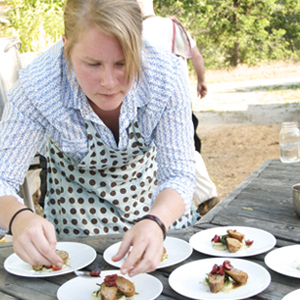 Josie of Peaceful Belly, Scott from Snake River Winery, Clay from Stack Rock Cidery, Nate Whitley chef at the Modern Hotel and Chef Abby Carlson have teamed up to create an amazing 5-course meal held on our magical Sunny Slope farm. This is not the usual fancy meal. The plates are creative, unique, and 100% local and seasonal. The setting is artfully crafted by Josie and no detail is left out. Wine is provided from Our own Snake River Winery and Cider from Stack Rock Cidery. Weather permitting, the dinners will be held outside and, as the sun sets, you will enjoy a delicious and memorable meal against the scenic backdrop of our farm. Seasonal vegetables are the main focus of each plate and are presented in a variety of artful combinations. Imagine turnip cake, tomato gravy, eggplant croquettes, and smoked tomato aspic – oh my! The positive responses from our dinners have been overwhelming; they are truly meals of a lifetime.